Carpenter Ants are relatively large. Known mostly by color, this type of ant also has 1 segment to its waist and a long abdomen containing lightly-colored dull hairs. Though their name suggests otherwise, Carpenter ants do not eat wood and instead feed on plant juices and other insects. 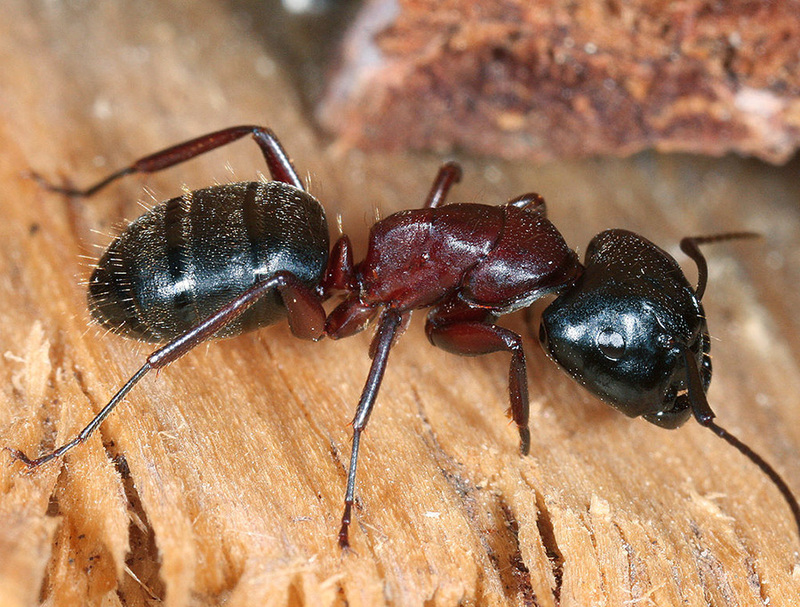 Black Carpenter Ants do bite and can spray formic acid, but they do not possess the ability to sting their prey. Worker ants live to serve the queen of which only one can be present in any mature colony.